Never before has an offer like this been on the table. For over a year now, Microsoft has been letting existing Windows 7, 8, or 8.1 users upgrade to Windows 10 for free. 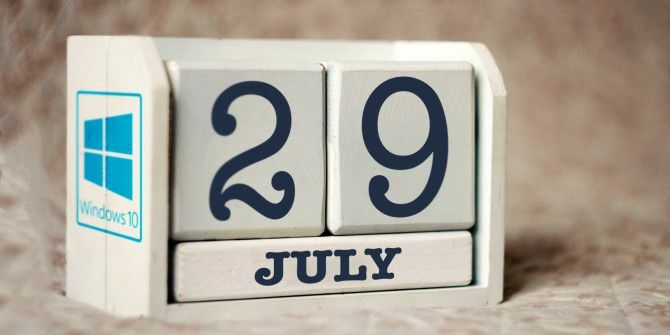 On July 29, 2016, that offer expires. You need to act now and upgrade to Windows 10 Act NOW to Keep Your Windows 10 Upgrade Free After July 29 Act NOW to Keep Your Windows 10 Upgrade Free After July 29 Microsoft has confirmed that the free Windows 10 upgrade will expire. After July 29, a Windows 10 license will cost $119. We show you how to become eligible to install Windows 10 for free, even... Read More . At this point, there is simply no reason to wait it out. It’s a free Windows operating system (OS), for crying out loud! Remember, even if you install Windows 10, you can still go back to Windows 7 or 8 How to Downgrade from Windows 10 to Windows 7 or 8.1 How to Downgrade from Windows 10 to Windows 7 or 8.1 Windows 10 is here and maybe it's not what you expected. If you already upgraded, you can perform a rollback. And if you haven't yet, create a system backup first. We show you how. Read More . So at worst, you should upgrade, secure your Windows 10 license key, and then go back, safe in the knowledge that you can install Windows 10 on that device in the future. The bottom line is, it’s time to upgrade, whether you like Windows 10 or not. Just do it to save yourself money, if nothing else. But before you upgrade, here are a few things you should do. If you’re already running Windows 7 or 8, you will probably be able to upgrade to Windows 10 without any worries. 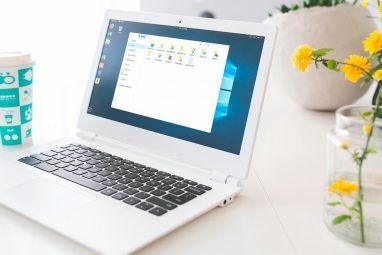 However, some old hardware isn’t supported by Windows 10, so before you embark on your quest, it’s best to make sure whether Windows 10 will work or not. Microsoft has made a “Compatibility Appraiser” as part of a Windows Update, which is basically that little popup icon that may have seen asking you to claim your upgrade or telling you that you are eligible for an upgrade. The wording may change, but as long as you get a notification to upgrade, that means your system is fine. But like we said, not everything is compatible. Maybe you have an old graphics card, a special network adapter, or peripheral devices like a printer that isn’t supported. The Compatibility Appraiser is the best way to check. In case you want to run it manually, follow the steps in this article to create your own Compatibility Appraiser Can't See the Windows 10 Upgrade Notification? Here's How to Enable It. Can't See the Windows 10 Upgrade Notification? Here's How to Enable It. Are you also not seeing the Get Windows app on your Windows 7 or 8.1 devices? Let us show you how to enable the upgrade notification or cancel the upgrade in case you changed your... Read More and check if any hardware is not supported. 2. Backup Drivers and Download New Ones! Some day, you’re going to thank me for making you do this. 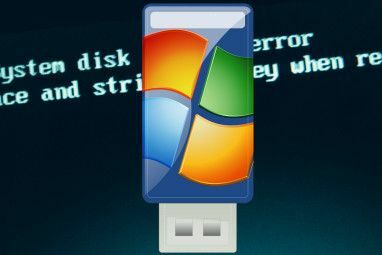 Most new hardware supports simple plug-and-play connectivity for Windows, and Windows Update is pretty good at downloading the right drivers when it can’t identify your device. But you never know how a new OS is going to react to your older hardware, so do yourself a favor and get the right drivers. First, you need to find and replace outdated drivers on your computer How to Find & Replace Outdated Windows Drivers How to Find & Replace Outdated Windows Drivers Your drivers might be outdated and need updating, but how are you to know? Here's what you need to know and how to go about it. Read More . Next, download a tool like DriverBackup! and create a backup of all your current drivers. Then store that backup safely on a pen drive, so you can later restore those drivers if need be. For the important drivers, like your graphics card or your Wi-Fi adapter, I’d suggest going to their official site and downloading the latest driver for your hardware. Again, put this on your pen drive. This is purely precautionary, but you don’t want to be stuck without these in case the upgrade goes wrong 6 Common Windows Upgrade Issues & How to Fix Them 6 Common Windows Upgrade Issues & How to Fix Them Upgrading Windows 10 can cause a number of complications. We show you what to watch out for and how to prevent or fix issues. Read More . Oh, the number of people who don’t do this and are then stuck! Before you upgrade your system, you absolutely need to note down your Windows product key Everything You Should Know About Windows Product Keys Everything You Should Know About Windows Product Keys 25 characters govern your Windows system. Your product key is worth $100 or more, whether or not you upgraded to Windows 10. We explain what you can and can't do with your Windows license. Read More , and maybe even your Microsoft Office product key if you’ve purchased that too. The best tool to do this quickly is NirSoft’s ProduKey, which we have tested on Windows 7 and Windows 8. It also recovers keys for MS Office 2003, 2007, and 2011. Alternately, you can try any of these various methods to recover your Windows key Four Places to Find Your Windows 8 Product Key Four Places to Find Your Windows 8 Product Key With Windows 8, finding the 25-digit product key got harder. But you still need it to download installation media or install on a machine that didn't come pre-installed with Windows 8. Read More . Once you have it, write it down on a piece of paper. You’ll want to destroy this paper later (don’t just throw it in the trash), but during the installation process, it’s handy to have this. Microsoft has been sneakily pushing the Windows 10 update Microsoft Strikes Again - How to NOT Upgrade to Windows 10 Microsoft Strikes Again - How to NOT Upgrade to Windows 10 Windows 10 is now a recommended update on Windows 7 and 8.1 computers. If you're not yet ready to upgrade, it's time to double-check your Windows Update settings. We show you how. Read More and it might have even downloaded on your PC without you knowing. Whether it has or not, this is the worst way to upgrade, since it adds a bunch of junk files and hogs more space by keeping the old Windows Free Up Disk Space by Removing Windows.old Folder Free Up Disk Space by Removing Windows.old Folder Windows prepares an automatic backup before you re-install. The Windows.old folder includes user profiles and personal files. Here's how to restore the data and remove the folder to free up space. Read More . Plus, it will run much slower than a fresh new installation would. If you still choose to upgrade this way because all your settings and apps stay the same, then know that you’ll need at least 16 GB of free space on the C: Drive, and a recommended 24 GB of space. The downloaded update itself takes 5 GB. In case you don’t have that, try cleaning up storage space with these tools Low Disk Space? 5 Native Windows Tools To Free Up Storage Space Low Disk Space? 5 Native Windows Tools To Free Up Storage Space Don't download a fishy third party tool to reclaim valuable disk space! Windows has its own tools for the job and they're easy to use. Read More . Sometimes, a simple visualization of drive space will do the job Need A Disk Cleanup? Visualize What Takes Up Space On Your Windows PC Need A Disk Cleanup? Visualize What Takes Up Space On Your Windows PC Oh the pressure when you run out of disk space. What to delete? The fastest way to locate junk files is to use a tool that helps you visualize your system's file structure. Read More . But the better option, again, is to do a fresh installation of Windows so that your system runs at its peak performance. Over many years, you’ve customized your current Windows system and fine-tuned it for your tastes. Yes, a fresh Windows 10 installation will make things faster and better, but starting from scratch seems like such a pain, doesn’t it? The good news is that you can take your app data and settings with you to Windows 10 How to Upgrade to Windows 10 & Take Settings and Apps with You How to Upgrade to Windows 10 & Take Settings and Apps with You Windows 10 is coming and you have a choice to make. Either you upgrade your existing Windows installation, or you can install Windows 10 from scratch. We show you how to migrate to Windows 10... Read More ; well, at least most of them. You won’t get small details like how you set up Explorer or your equalizer settings, but Clone App and Windows 8 App Data Backup [No Longer Available] do a remarkable job of copying all existing data and bringing it to your new installation. Of course, along with all this, you should back up all your important files 5 Basic Backup Facts Every Windows User Should Know 5 Basic Backup Facts Every Windows User Should Know We never tire to remind you to make backups and keep your data safe. If you're wondering what, how often, and where you should back up your files, we have straight forward answers. Read More . Tina has written the ultimate PC backup guide The Windows Backup and Restore Guide The Windows Backup and Restore Guide Disasters happen. Unless you're willing to lose your data, you need a good Windows backup routine. We'll show you how to prepare backups and restore them. Read More , but if you want something simpler and faster, grab a portable hard drive and copy the stuff you absolutely can’t live without. You’re likely to miss out on some stuff with this method if you aren’t careful, so make sure you go through it in detail. Finally, if you think you might want to come back to your current setup after not liking Windows 10, then you want to clone and copy your full hard drive and OS 5 Ways To Clone & Copy Your Hard Drive 5 Ways To Clone & Copy Your Hard Drive Read More . There are plenty of free tools like Macrium Reflect Free to create an image of your hard drive and then restore it later. Far too many people overlook this, but you need to get the correct ISO file before you upgrade to Windows 10. Earlier, even for a fresh installation, Microsoft would make users download Windows 7 or Windows 8 ISO files How to Legally Download Windows Installation Files for Free How to Legally Download Windows Installation Files for Free Windows can get seriously broken. What you often need to do is to install it from scratch. And we show you how to get legal installation files for Windows 7 through 10. Read More and then get Windows 10. Things changed with Windows 10 version 1511 How to Upgrade to Windows 10 Version 1511 Now How to Upgrade to Windows 10 Version 1511 Now Can't seem to install the Windows 10 Fall Update? It wouldn't be the Microsoft we know and love, if there wasn't some kind of screw-up along the line. Let us help! Read More , which accepts valid Windows 7, 8, and 8.1 product keys to activate the installation. So you don’t need the earlier ISOs, but you’ll still have to grab the right Windows 10 file. N: Made for Europe. Does not include Windows Media Player, Windows Media Center, and Windows DVD Maker. K: Made for South Korea. Links to other instant messengers and media players more popular in that market. KN: Combines the features of K and N editions. For most users, the regular ISO is all you need. Even if you live in Europe or South Korea, you aren’t breaking any laws by downloading the regular installation. You can download the ISO directly or use the Windows Media Creation tool How to Create Windows 10 Installation Media How to Create Windows 10 Installation Media Regardless of how you arrived at Windows 10, there's a way to create your own installation media. Sooner or later you might need it. Let us show you how to be prepared. Read More to make a bootable USB drive or DVD. A USB drive will be faster in most cases. Despite our many recommendations to do a fresh installation, if you are upgrading your existing system, then disable or uninstall your antivirus first. Multiple users have noted a problem during the upgrade procedure because their overactive antivirus messed up some process. Eliminate that problem by disabling your antivirus during the upgrade process. This also applies to anti-malware and any other background processes you might have running. Use the Windows Task Manager to find resource-intensive apps 10 Windows Task Manager Tricks You Didn't Know 10 Windows Task Manager Tricks You Didn't Know If the only time you open the Task Manager is when an application is frozen and needs to be killed, you're overlooking some of its more powerful features. Read More and kill them so your upgrade is faster and things don’t get stalled for a silly reason, like a scheduled task. Finally, the last step before you start installing your new Windows 10 system is to create a Microsoft account. While it’s not absolutely necessary to have a Microsoft account to install or use Windows, there are several benefits like using Cortana or the Windows Store The Pros and Cons of Using a Microsoft Account with Windows The Pros and Cons of Using a Microsoft Account with Windows A single Microsoft Account allows you to log into a wide range of Microsoft services and apps. We show you the pros and cons of using a Microsoft Account with Windows. Read More , both of which require you to be signed in with that account. A “Microsoft account” counts most Microsoft-related services. For example, if you have an existing Outlook.com account, that would work too. It’s better to have this while installing Windows 10, so you can check out all its aspects and the setup process is smooth. But if you don’t like these additional features, you can easily create a local login and delete the Microsoft account How to Delete Your Microsoft Account & Create a Local Windows 10 Login How to Delete Your Microsoft Account & Create a Local Windows 10 Login Have privacy concerns about using a Microsoft Account in the cloud? Here's how to create a local Windows 10 login account instead. Read More . Have You Upgraded? Are You Planning To? With July 29 approaching fast, we hope you have already upgraded. In that case, help out others who are yet to upgrade 6 Common Windows Upgrade Issues & How to Fix Them 6 Common Windows Upgrade Issues & How to Fix Them Upgrading Windows 10 can cause a number of complications. We show you what to watch out for and how to prevent or fix issues. Read More by offering a few more tips and pointers on the must-dos before they start their process. If you haven’t upgraded yet, tell us why in the comments below. At this point, it seems like you’re just refusing a free operating system. What’s your reason to say no to free stuff? Explore more about: Freebies, Windows 10, Windows Upgrade. After supporting many Win10 upgrades - fixing network issues, disappearing applications, lack of support for brand peripherals such as keyboard/mouse, printers not working, etc. I will NOT be upgrading any of my PCs to Win10 except for one used for support work. 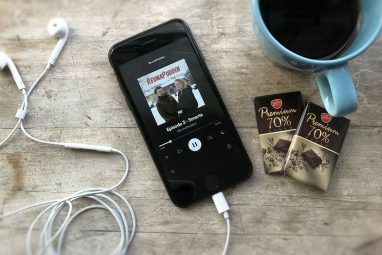 It's just to costly for many to upgrade their PCs and for some, their financial investments in technology is high for these "mom 'n pop" shops. I have tried the dual boot and VM routes but not really worth the effort as often new problems crop up. So now loving Linux - Ubuntu on some and Cub Linux (like Android) on the HP N450 netbook. I have supported MS throughout the years, to many to count, and I thank MS for the work. But now, with MS's direction to have everything to eventually be "software-as-a-service"/subscriptions and ad supported, I'm no longer following the crowd. I'm happily converting many clients to Linux/Android which in most cases THEY don't CARE just as long as IT WORKS. Clients want toasters not MIT/Silicon Valley degrees/careers. That last FULL Windows version I have is Vista. I then purchased a W7 upgrade version. I then upgraded to W10, which I'm very happy with. I'm about to rebuild my system with a new motherboard. Today I downloaded the ISO for Windows 10. My question is, can I just install Windows 10, and enter my Visa full key, or the W7 upgrade key, or do I need to start with the full Vista install and then progress through the two upgrades. Thanks. Why am I refusing Windows 10? (1) I've read that it comes with an obligatory license allowing Microsoft to spy on you. I think this is more comprehensive spying than is in 8.1, that I have now. When I got this computer (with 8.1), I didn't like it then and managed to get the default Windows account that they wanted me to set up, deleted. I turn on the machine, don't log in in any way, and just go. You indicate above, the same could be done in Windows 10, but all your instructions are really involved. (2) I'm terrified of not being able to run my old Lotus 1-2-3. Its the Millennium version, I believe the last one made. I was an expert in Lotus going back to DOS. I became pretty good in Excel too and use it about 99% of the time, but that other 1% I am using ESSENTIAL Lotus files with complex macros that do not translate to Excel. Most of these are for the Condominium association where I live, and for which I am a board member. We once PAID for supposed Excel experts to create equivalent instructions in Excel; none of them could do it. I've seen comments online about using Lotus with Win 10, that say you can do it, but they always seem to come with some caveat. In a nutshell, I agree with everything summarized above by Cindy. Yes, it saddens me a little to hear that clock ticking down, but right now IT AIN'T BROKE, SO WHY FIX IT??? I have a database that has millions of hours invested. I think I will want to run a dual boot for about a year at least, maybe two to make sure the system is stable enough to trust. The consequence for me is that I can't live long enough to rebuild the database. Currently, the "free" ISO download through the media creation tool will not allow an install to "dual boot from". If they want to give me a free laptop (the same as the one I have), so I can run them side by side for a year or two I would consider that too. But, either way Windows 10 has to physically prove itself in my situation. So, if I have to foot the bill, then it will have to wait till I am ready for the expense. Believe me! Windows is really good. HURRY! HURRY! HURRY! GET YOUR JUNKMOBILE BEFORE THEY'RE ALL GONE! THE SALE ENDS TONIGHT AT 8 PM!!!!!!! I made a TrueImage image for my windows 7 . Is there a way to get my product key from there without actually re-installing ? You can read your Windows 7 product key while you're on Windows 10 using ShowKeyPlus. In general, I don't move to new versions of OS - I just "move" when I get a new computer, typically every 4 - 5 years.